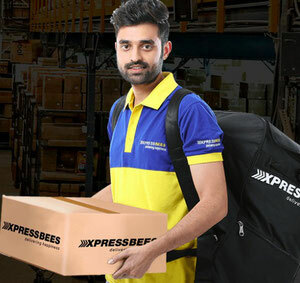 Alibaba is in advanced talks to acquire a significant minority stake in India's logistics company XpressBees through a proposed investment of up to US$100 million as the Chinese e-commerce and tech giant continues to fortify its position in the Southeast Asian e-commerce market, an Economic Times report said. Will this courier become AlibabaBee? The Economic Times said talks between XpressBees and Alibaba have been going on for about 18 months. In June 2016, the newspaper reported that Alibaba was looking to buy, or invest in, an Indian logistics company specialising in deliveries for online retailers, and toward this end had held talks with Delhivery and XpressBees Logistics. If the XpressBees investment goes through, it will be Alibaba's sixth investment in the Indian market as it builds a string of assets to take on homegrown market leader Flipkart and global rival Amazon. Alibaba invested US$200 million in Indian inline grocery platform BigBasket and raised its shares of Indian online marketplace Paytm Mall to 62% last year. Alibaba already controls Indian mobile payment platform Paytm, which launched Paytm Mall in 2017. The XpressBee deal will take Alibaba's total investments in India to about Rs 11,000 crore, or US$1.7 billion, out of which over two-thirds is invested in Paytm. Alibaba and its rivals Tencent, eBay and Amazon are competing fiercely to dominate the Indian e-commerce market, which is expected to grow to US$200 billion by 2026 from US$15 billion in 2016, according to a recent report by financial services firm Morgan Stanley.